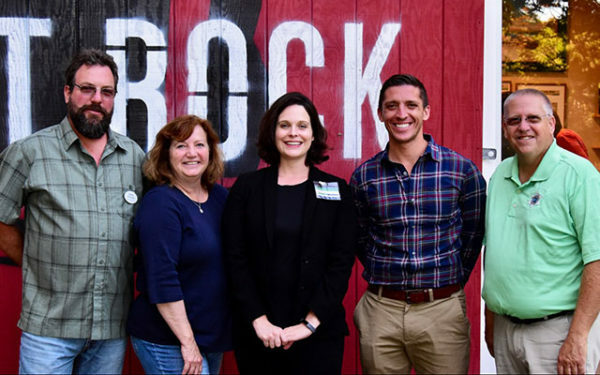 NEWCASTLE — All interested voters are invited to meet candidates 5:30-7:30 p.m. Thursday, Sept. 27, at the upstairs Oysterhead Lounge of the Newcastle Publick House on Main Street. Attendees will have the opportunity to talk informally with candidates in order to get to know them and their values as progressive candidates for change. Voters from all across Lincoln County as well as those from Sagadahoc, Kennebec, Knox and Waldo Counties will have candidates in attendance from their ballots. Confirmed to date: Zak Ringelstein for U.S. Senate, Natasha Irving for DA, Sheriff Todd Brackett, Laura Fortman for State Senate, Mick Devin for State House, Chloe Maxmin for State House, Jason Putnam for State House and Allison Hepler for State House. Candidate information can be found here: http://lincolncountydemocrats.com/candidates. Other candidates seeking federal, state, and county seats have also been invited. There is no charge for the meetup sponsored by the Lincoln County Democratic Committee (LCDC). A cash bar will be available along with the full dinner menu. The next regular meeting of the LCDC will be held on Wednesday, Sept. 26 at 6:30 p.m. at the Victory in 2018 Campaign Office in the Overlook Building at 521 Main St. in Damariscotta.